The lily-0f-the-Valley is a native of Europe. It is also found over North America but in England, it is considered a wild flower. It is quite lovely with emerald green foliage and stems of dangling, white, bell-shaped blooms. No wonder it is sought after as a traditional springtime wedding flower. It is highly fragrant, charming and delicate. Relatively common to gardeners in the northern United States, it is a flower that is not commercially cultivated because of it’s short season and limited use. 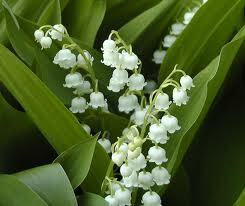 Rarely do we get to see lily-of-the-valley used in wedding bouquets, especially in Sedona weddings. They are just too expensive especially in southern and southwestern regions. They are so small that it takes dozens of stems to make even the smallest cluster. They can be mixed with other flowers but are often overwhelmed and lost in the design. 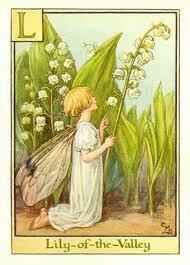 Depending on weather and availability, lily-of-the-valley can easily cost from 8.50 to 10.00 per stem. With 10 stems making only the smallest cluster at best, a full, lavish bouquet can quickly get very expensive. A bouquet will typically need 100 + stems for a decent display. If money is no object, they are available but there are much better choices. Symbolism: Return to happiness. Unconscious sweetness.